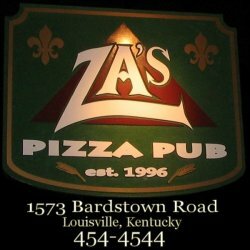 Welcome to Za's Pizza Pub! Pint night starts at 6:30pm. Check out our Facebook page for event details. EXTENDED HAPPY HOUR DURING ALL UOFL AND UK FOOTBALL AND BASKETBALL GAMES! !